The BSA ScoutStrong program is a healthy living initiative, promoting an active lifestyle for youth and their adult guides. So, it makes sense that celebrating Olympic Day fits into the ScoutStrong initiative and is yet another opportunity for you to get your gang out and active. 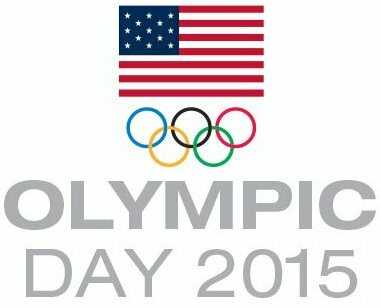 Olympic Day is officially June 23, but events are being held throughout the month of June. Olympic Day can be used as a theme for your June weekend campout, week at summer camp, picnic, or special community event such as a 5K run/walk or your own mini-olympics. Working on 'active' merit badges or Cub Scout adventures can be part of your event - such as hiking, cycling, or athletics. AN OLYMPIC FLAG - receive an Olympic Day 2015 flag and Team USA stickers when you register. OLYMPIC DAY TOOLKIT - tons and tons of event ideas, press release tips, printable certificates, and more. HOSTING AN OLYMPIAN - opportunity to host an Olympian or Paralympian, who will be prepared to speak on one of the following topics: fair play, respect, perseverance, and/or sportsmanship. Visit the official Olympic Day page to register and learn lots more. So, what will YOUR unit do to celebrate Olympic Day 2015?